Open source music hardware has gone from promising concept to practical reality. It incorporates not just hacker-friendly kits, but end user products, from synths to controllers to effects. And now, for the first time, you can find one of the biggest names in the musical instrument industry on GitHub. 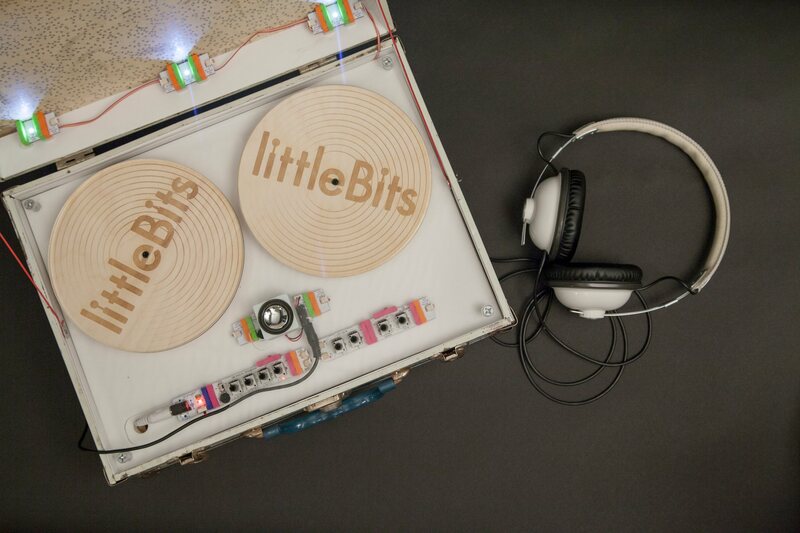 KORG and littleBits promised they’d release their collaboration under the same open source license as the other magnetic, snap-together modules from littleBits. This week, they’ve delivered. It’s a little tricky to find, so let’s walk you through it. The good stuff is in the EAGLE files – the circuit diagrams, here in the most popular commercial (and non-open source) editor. The speaker module is in the OUTPUT folder, but most of the bits you’d want to see are labeled, slightly confusingly, INPUT. That includes the analog oscillator, delay circuit, envelope, and filter. Many of the non-music-specific bits should be nice to check out, too, as they include a range of popular sensors. 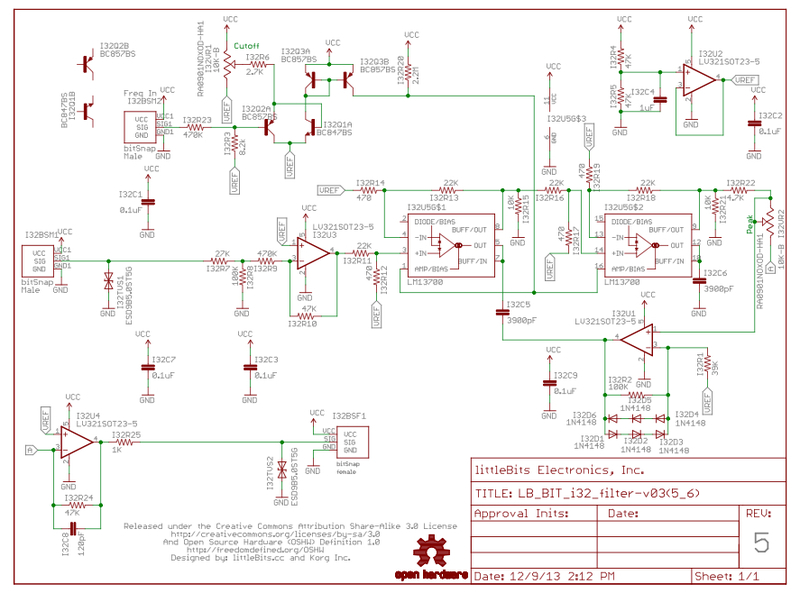 There are PDFs of all the circuits, so you don’t need Eagle to browse. And that means you can have a gander at, for instance, KORG’s filter circuit. As we saw with the MS-10/20 filter released alongside the monotron, now you get the second-generation MS-20 filter in all its glory, as adapted to the littleBits voltage requirements. And this time, the circuit itself is accompanied by an explicit license that allows reuse. It’d be great to see other music developers release various modifications of the MS filter. Fork a filter, in other words. 1. The circuits are on GitHub, so shared on a service that makes additional sharing and modifications easier. 2. All of the littleBits modules are shared – more or less the entire product, in other words, is published in explicit form and with a license attached. The other way to look at this is that the ethos of the open source hardware movement is in some sense indebted to areas of hardware design like music technology, because it has long been common practice (and legally-defensible practice) to create new circuits that derive from old ones. But having a clear license for the entire design, and a means of publishing and sharing that information online, I believe is still significant. For more on what to do with littleBits, it’s worth having a look at their prolific YouTube channel.